A new partnership between Cantor Gaming and Celebrity Cruises was announced last week. The mobile casino gaming company and the cruise company have started working together to provide the industry’s first complete mobile casino gaming solution onboard a cruise ship. The new technology enables onboard passengers to play casino-style style games on their Apple or Android smartphone devices. Guests can download the FREE Cantor Gaming app, which is available to Celebrity customers via the ship’s Wi-Fi network. Post-download, guests can create a ‘virtual wallet’ at the ship’s casino desk to activate and fund their gaming account. The new app will give passengers yet another way to enjoy rich entertainment in a fun and convenient way. The games, which can be played when the Celebrity ships sail through international waters, include a selection of traditional games digitised especially for the app. 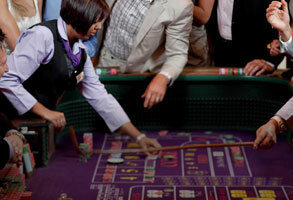 These include slots-style games, table games and video poker. The new casino app technology will be installed on Celebrity’s four “Solsticized” Millennium Class ships in coming months. The company were the first to be licence by the Nevada Gaming Commission to manufacture, distribute and operate a mobile gaming company in the state. The company also offer race and sports books across eight Las Vegas resorts, where they provide casino-style mobile gaming too.